Happy New Year…Keep the Vision! Happy New Year everyone. The Holidays are finally over. For some of us, 2017 left us feeling like we had run a marathon…ready for the hot tub to soothe those achy bodies and a great cup of hot chocolate (or something stronger) to soothe those achy broke pocket books! Hence, I have now resorted to the “Vision Board”. Yes, the “Vision Board” has now replaced that dreaded New Year’s resolution. It is so simple. Just purchase an inexpensive bulletin board (a 24”x 24”is a great size.) Cut out a photo of something you wish to accomplish in the coming new year. For example, if you want to lose weight, find a photo of a celebrity you would dream of looking like, cut out the image and pin it to the board. Type a date beneath it of when you want to achieve that result and pin it to the board. If you wish to write a book or publish something in a magazine or similar publication, cut out the name of the publication’s logo. Then type the title of the article you want to write about with your name below it. Pin them to the board. Pin anything you want to accomplish as a “visual image” on the board and make sure this board is strategically placed where you will see it multiple times throughout the day. Your mind will train itself to focus on what it sees and be a constant daily reminder to you what you are striving for. Once you have accomplished each goal, simply un-pin it and trash it. It worked for me! 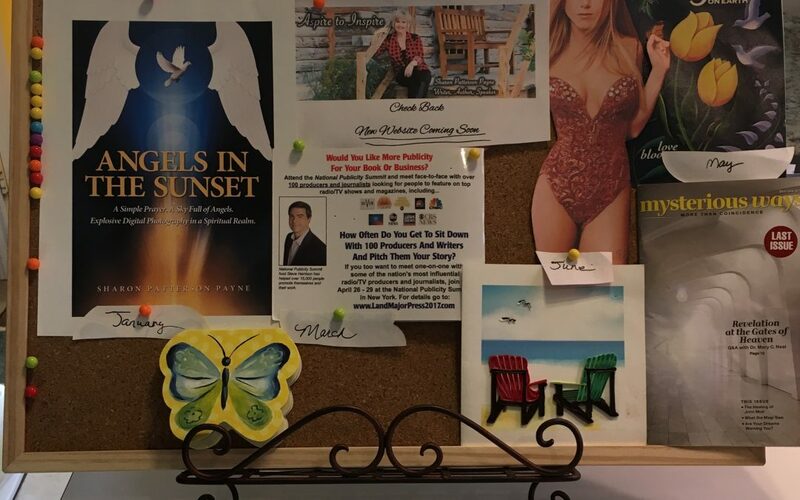 This years “Vision Board” currently consists of getting my new book (and true story), Angels in the Sunset, published by this month’s end. Following that, getting my new website up and going along with my all-new first ever Blog. This year is full of “all-new things”- a new book, a new website, a new blog and hopefully a new body that is 15 lbs. lighter by June 1st! 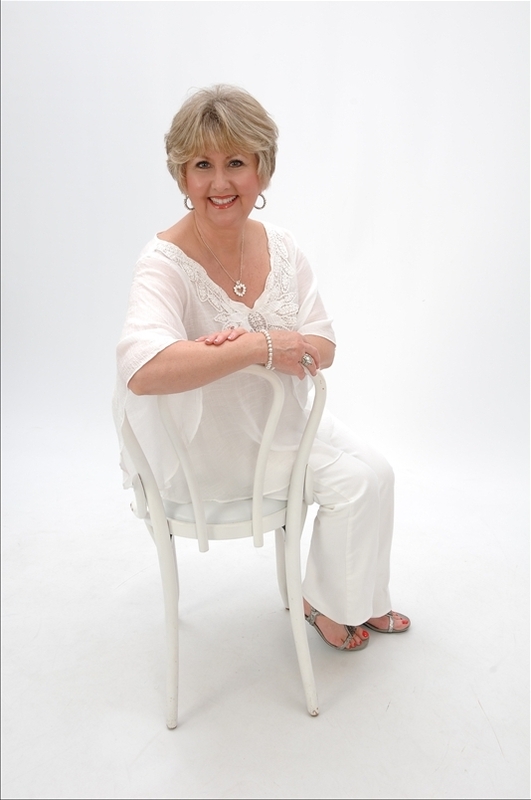 Stay tuned…Here’s hoping to re-connect with you each month as I bring new and different topics to the Blog table on “ Let’s Talk About it!” Meanwhile, focus on the Vision! By the way…what were your visions and goals for 2018?